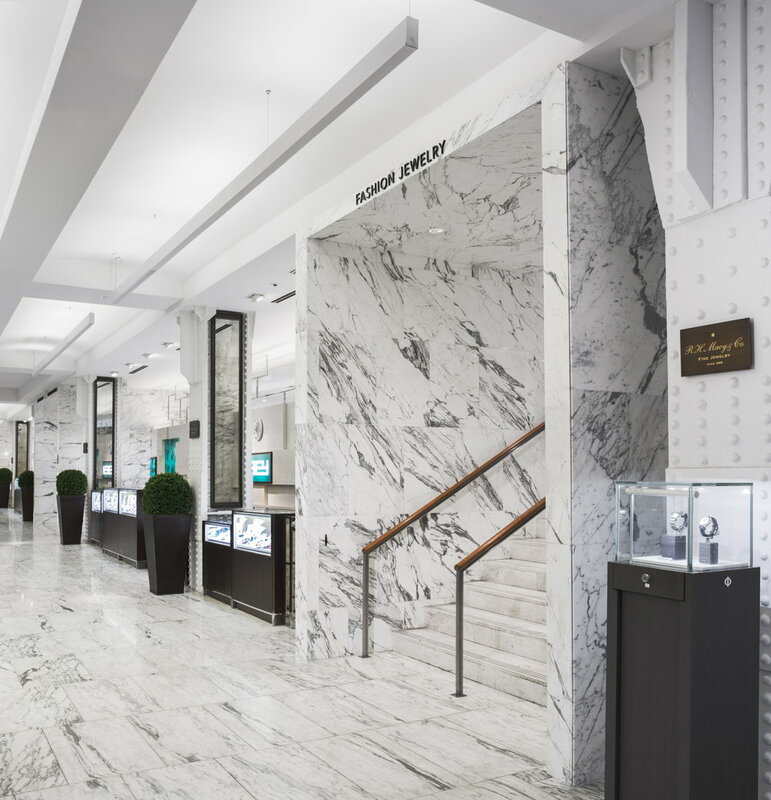 Macy’s, Inc commissioned Highland Associates to provide architectural and engineering design services for an unprecedented, 4-year renovation that will reinvent and elevate the shopping experience at Macy’s flagship store at Herald Square in New York City. Work began in early spring 2012 on the $400 million project and will continue in phases. Every department and the exterior of the building will be improved over the life of the project. The store will remain open and operating during construction, with the location of some departments shifting temporarily. A 100,000-square-foot expansion of the store’s selling space to a total of 1.2 million square feet by opening up space currently used for stock and offices and extending the mezzanine level. 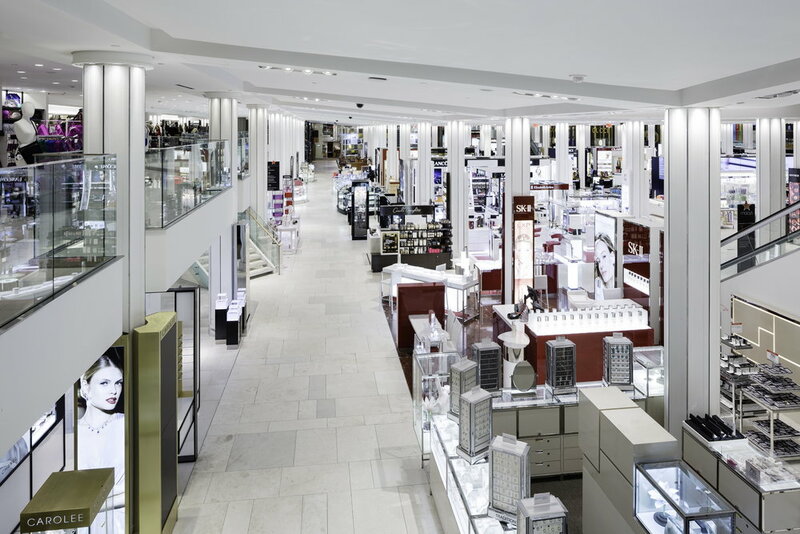 Infusing technology and new media into the shopping experience with the inclusion of interactive store directories, a system to stream live video feeds of Macy’s events nationwide, and new wayfinding signage. A new table-service restaurant on the sixth ﬂoor with window access along Broadway. The all-new restaurant is among 22 restaurants and food service stations throughout the store that accommodates seating for about 1,100 customers — an increase of nearly 40%. A restoration of the store’s exterior to re-capture its original grandeur. The “Memorial Entrance” on 34th Street was restored and reopened. Windows along Broadway, 34th Street and Seventh Avenue, which had been covered up over the years, were reopened. Windows on the upper ﬂoors were also uncovered to allow more natural light into the building. Sidewalks were replaced, with Macy’s-branded paved “welcome mats” added at every entrance. Awnings and canopies reminiscent of the original building were added. New exterior lighting highlights the building’s architectural details. 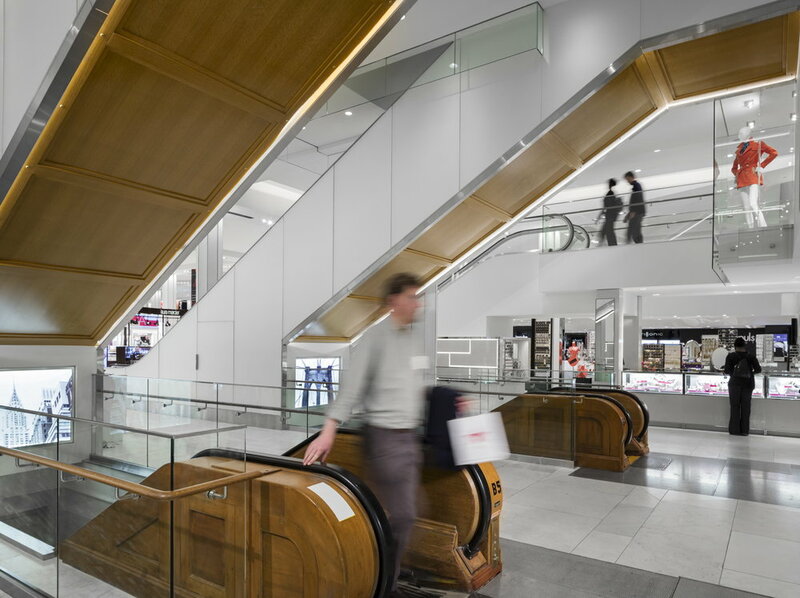 Preservation of 42 of 43 historic wooden escalators in the current store — a unique and distinguishing feature of Macy’s Herald Square. Expanding and upgrading amenities. 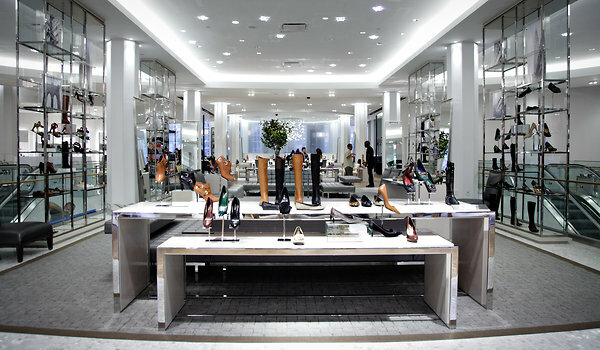 Nearly 300 additional ﬁtting rooms were added. Restroom facilities were added and improved. Operating systems to improve environmental sustainability, including a new energy management system and expanded use of LED lighting, that has reduced annual energy use by 15% to 20%. The ﬁrst portion of the current Macy’s Herald Square store was opened in 1902. The store was expanded in three additional phases to its current form by 1931. The current building includes nearly 2.2 million gross square feet. Macy’s added about 800 new positions to the store’s existing year-round workforce of about 4,600 persons. 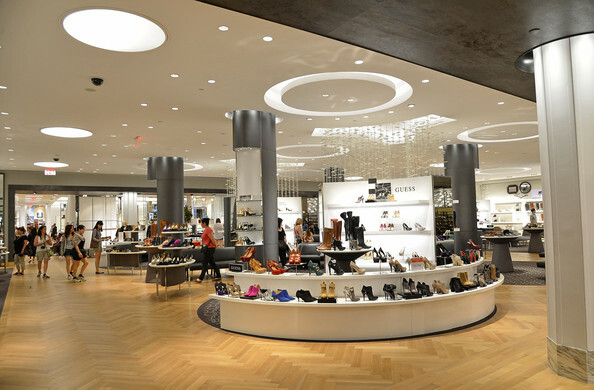 Highland Associates worked with Macy’s, Inc.’s internal planning, design and construction team on the Macy’s Herald Square renovation program, with master planning support from New York based STUDIO V Architecture. Component elements were designed by Highland Associates as well as, New York-based Kevin Kennon Architects and Westchester, Illinois- based Charles Sparks + Company.